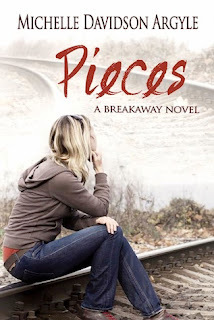 Title linked to Goodreads page. 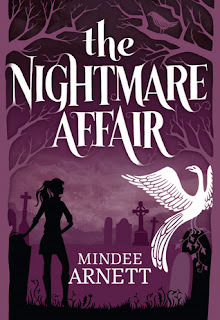 The Nightmare Affair on Goodreads here. 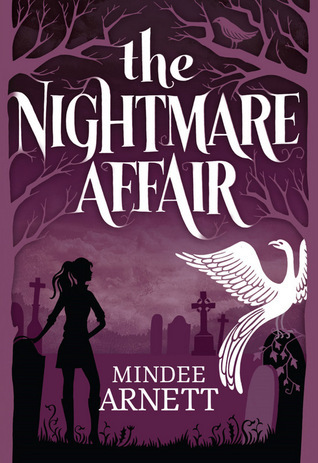 Dusty, the main character of THE NIGHTMARE AFFAIR was such an entertaining narrator! She has a lot of character and I had no problem relating to her. She's hilarious and quirky- I was smiling through most of this book. There were so many unique aspects of Arnett's debut that I just loved, one of my favourites being the unique, animated personalities of the computers at Arkwell Academy. They kind of reminded me of the mirror on the wall from Snow White- but the sarcastic Shrek version! I also loved the fact that one of Dusty's love interests (cause there can never be JUST one haha) is a library aide- so unique! The only thing that irked/confused me a bit was WHY Eli needed to attend Arkwell Academy, as well. Don't get me wrong, I'm glad he does, gives room for much more Dusty/Eli moments, I just wasn't completely convinced he needed to attend Arkwell (but I could definitely be over-thinking this, haha. Speaking of Eli, LOVE him! His reaction towards Dusty, in the beginning, was pretty realistic and understandable to me and just made Eli seem all the more sincere. But I loved the moments we got between these two *cough* *cough* dream invasions- definitely nothing explicit (very clean YA read) but the chemistry and tension made for a VERY interesting read! 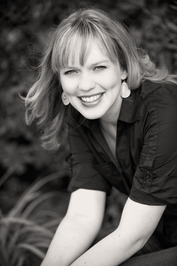 Arnett has penned an interesting mystery for her hilarious band of characters to unfold. As Dusty and her gang strive to figure out the true identity behind the elusive "F", the dialogue/interplay between these characters will have you smiling and laughing. I was so sad to come the end of book #1, it came to quick! Please let #2 be longer! I really loved this debut and I would definitely recommend it to fans of Kim Harrington's Clarity series. Bring on book #2, right now. No seriously can I have book #2? I was perusing Goodreads the other day, looking for my next New Adult title to read (LOVING this genre right now) and I couldn't help noticing- FREAKING GIFs ARE TAKING OVER! I always use Goodreads (as I'm sure many of you do, as well) to find relevant recommendations that are similar to titles that I have read and loved, and I always like to read reviews of friends and strangers within the Goodreads community to sway my choice of whether or not I will purchase said title. But I'm finding that this practice is getting a wee bit more aggravating as these GIFs become more and more popular, and I'm forced to scroll down two entire pages (in some cases) before I can get to an actual review. For those of you who aren't sure what I mean when I say GIF (Graphic Interchange Format), I'm referring to those mini videos/Photos that are on constant replay that seem to be appearing EVERYWHERE in the blogsphere. Seriously, I'm not kidding. Try going one day without coming across one on Goodreads. I dare you haha. Don't get me wrong I actually find a lot them to be entertaining, in small doses (i.e. one or two, hell even three is cool with me) but 12+ in one post, come on. I feel like GIFs are starting to substitute actual words. I counted, in one review post, 10 GIFs against a total of 14 words, which consisted mainly of bleeped out curse words. Entertaining? Sure. That's how they get all their likes, and by extension, the top of the review list. Helpful? Not really, and it's not just one review like this it's TWO FREAKING PAGES full!!! I'm not trying to say we should get rid of GIFs, and I'm not saying we should restrict the number of GIFs one can use in a Goodreads review, because, as nice as that would be, it would take away the whole right to freedom of expression and such. I just really felt the need to rant and put my thoughts into words, because this flippin epidemic is driving me nuts! But hey that's me, I know there are a lot of book lovers out there who would disagree with me on this (please don't come at me with a GIF parade *throws up hands to protect myself*) haha, but I'm truly curious, what are your thoughts on this growing trend- Yay or nay? Thanks for listening (or should I type READING) to my first little rant. *Side note: I thought about including like 20 random GIFs in this post out of irony, but didn't want this post to take up my whole blog scroll haha. Wendy has posted a few teasers (which I have been reading over and over) go here to read them, while I hang my head in shame. Release Date: May 1st/13. SO FAR AWAY!!! This series left me feeling a bit cheated. Where Fever lacked much of Linden, Sever lacks A LOT of Gabriel (seriously, I felt like he just had a cameo in this conclusion). I felt just as conflicted as Rhine with regards to my feelings towards Linden- she spends much of the book reining in her jealousy of his and Cecily's relationship. Before this last instalment, I used to consider Linden a weak, Daddy's boy, but we get to see a whole new side to him- one that is brave and defiant- I much preferred this Linden! We also find out in this instalment just how powerful Vaughn is, and the extent of influence. He's a bit of an enigma and one I never was truly able to figure out. Rhine saying "Ok, I'm leaving now"
and then Cecily saying, "No you can't! Make her stay, Linden." *Sigh* "Ok, but tomorrow I'm leaving for sure." Don't get me wrong, we do get some closure between Linden and Rhine (although I'm irritated beyond belief by Linden and Cecily's relationship), but I wanted to pull my hair out a bit and just shove Rhine out the door to go find her brother and Gabriel! And then when she FINALLY makes a clear decision to set out and find Gabriel, tragedy strikes, and I cried my eyes out and nearly threw my ARC at the wall, while screaming NOOOOO!!!!! That's how strongly invested I got into this. There were a few shining moments in this last book though, the introduction of Uncle Reed- loved this man, he's everything that his insane brother, Vaughn, isn't, unconventional and completely loveable! And he provided some much needed comic relief in Sever. I also LOVED Rhine's brother, Rowan, and the sibling bond these two continue to share even after being separated for so long. But we don't get to know Rowan to well, because once he's introduced, the action and plot seem to go from 0-60 in 3.5, and suddenly everything goes from hopeful and rainbows to complete melancholy. And then we're given a quick ending wrapped up in a nice bow and I'm left thinking, is that it? I know that there are many who were thrilled with the way this trilogy has concluded, but I can't help feeling a little cheated with the rushed events. I wish more time (or pages) could have been given to the unraveling of everything Vaughn had been working for, and less to reluctant Rhine at the beginning. Wow it's been a while, how've you all been? 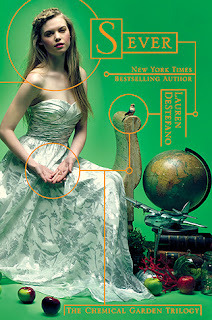 (ARC) Nobody by Jennifer Lynn Barnes - Now Available! (ARC) City of A Thousand Dolls by Miriam Forster - Now Available! (FC) Hokey Pokey by Jerry Spinelli - Now Available! 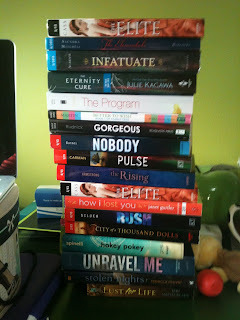 That's my story this week, special thanks to HarperCollins Canada, Scholastic Canada, Simon and Schuster Canada, HarlequinTEEN, Harcourt, Sourcebooks Fire, Random House Canada, OLA, Audra, Lindsay Cummings and Angie, for making it so freakin epic! 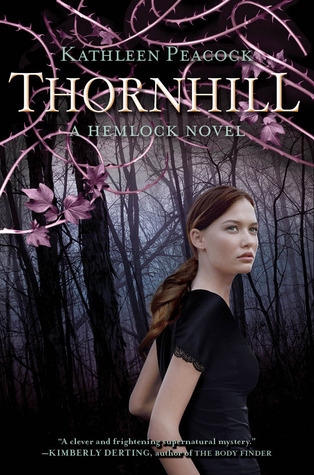 I first came upon this title, while perusing Edelweiss. After reading the synopsis for The Registry, I knew it's going to be a fan favourite, and I can't wait to get my hands on a copy! Title's linked to Goodreads page! Let me first start by saying that, while I consider myself an open-minded person, I am not religious, not even a little. 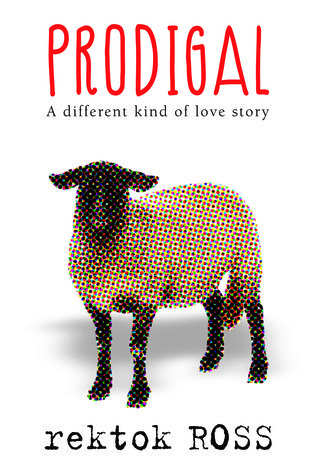 With that said, I really enjoyed Prodigal. It was a great contemporary read that I think will appeal to fans of Sarah Dessan and Susane Cosanti, it's a great story of love, friendship, family, loss, grief and forgiveness. Ross has incorporated a lot of my favourite cliches in her debut, one them being; the new girl caught in a love-triangle between two hot jocks (love this!). I really liked Lexy, she's a girl that goes after her goals- becoming a writer for the school newspaper. She's honest and hardworking and confident in her ability. Her voice/narration is refreshing, snarky and relatable. My heart broke a little for the loss and deception she endures at such a young age, but she remains a strong character through it all and I'd admired her strength. Ash was a great leading man. Gorgeous star quarterback with many secrets and hidden layers. I loved the way his and Lexy's relationship progressed. Although I wanted to smack them both on the head sometimes and say "open your eyes!" with some of their decisions, but I'll chalk them up to teenage naivety. I did feel bad for Brian though, he's the resident "Jacob" of this read (i.e. second choice). 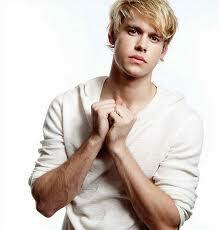 He's a great guy and the perfect competition for Ash in the battle for Lexy's heart. The religious undertones in this debut were very much muted and it's a pick that contemporary YA fans, who enjoy a clean and sweet romance, are sure to enjoy! A great contemporary pick, with an evolutionary twist! Pivot Point reminded me a lot of the movie Sliding Doors, but with a youthful flare. We're given dual narratives, both told from Addie's perspective, but in different lives. West does a great job with the pacing of these two narratives, I never felt confused or lost while reading Pivot Point and the dual narratives helped to add an element of suspense with the ending of each chapter. While her parents love lives seem to be falling apart, Addie is not lacking in the eligible bachelor department. She has two completely different young men vying for her attention. First we have Duke (who happens to be my pick of the two), who is the stereotypical quarterback- charming, gorgeous and a player, but he's set his sights on Addie. Only we're not so sure what his true intentions are towards our heroine. Then there's Trevor, a former quarterback due to injury and a norm. He's sweet and thoughtful, but has some unfinished business in the form of an ex-girlfriend. West is great at paralleling these two boys' personalities through different situations, an example: One holds the car door open and asks if it's ok to turn on the radio, while the other not only turns it on without asking, but turns it up so loud that Addie has to shout to be heard. I do feel for Addie in having to choose between these two, but I think I know which one she's going to end up with (but I'm not saying! :)). O and if all that wasn't enough to tempt you, there's also a murder mystery twisted into the plot of Pivot Point, and you'll be just as eager as Addie to figure out who the murderer is! 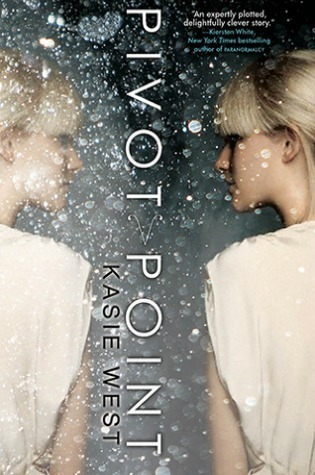 Pivot Point really hits all the marks: Romance, friendship, family, mystery, suspense, romance (o sorry, did I mention that already? haha) and ending that will leave you wanting book #2 right away! Great job Kasie, I can't wait to see what lies ahead for Addie, perhaps another "Search" is on the horizon? 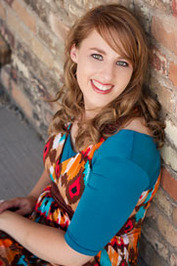 Now please join me in welcoming Kasie to the blog today! 1) When did you first think up the concept behind Pivot Point? You want me to do math?? Hmmmm.....well it was about a year before I started writing it. I remember it very clearly, I was in the car with my hubby and we were talking about movies we loved that would be good in book form. We started talking about Sliding Doors (which I love) and I said, the idea of alternate realities based on a pivotal choice would be a great idea for a young adult book. And then it too me a year to talk myself into writing it. Mostly because it sounded hard. But also because I was working on other things at the time. 2) If you were Addison and had to pick which path to take- Trevor or Duke, which would it be? Why? 3) Given the choice, would you want to see your potential future ahead of time? No, I don't think I would. I think it would be torturous. Unless one path leads to lots and lots of chocolate and the other path leads to no chocolate. Then I absolutely need to figure out how to avoid the latter. 4) While reading the beginning of Pivot Point, those who chose to live outside of the world of the "Norms" (Addison included) kind of reminded me of Sheldon Cooper- Are you a fan of The Big Bang Theory? (I realize how random this question is, but I really want to know, haha). Ha. You're funny. I have definitely seen The Big Bang Theory. And Sheldon is hilarious. But, no, I don't watch it regularly. Every time I watch it though I wonder why I don't because I laugh the entire episode. 5) If you could describe Pivot Point in three words, what would they be? This is a hard question because really no actors or actresses completely match the picture I have in my head for the characters. And I don't want to ruin anyone else's images they might have in their heads of the characters either. But these two actors come pretty close to how I picture Duke and Laila. 7) What books are you reading right now? I'm always reading something. And usually multiple somethings. Right now I'm beta reading for a friend and reading both Prophecy by Ellen Oh and Through the Ever Night by Veronica Rossi. 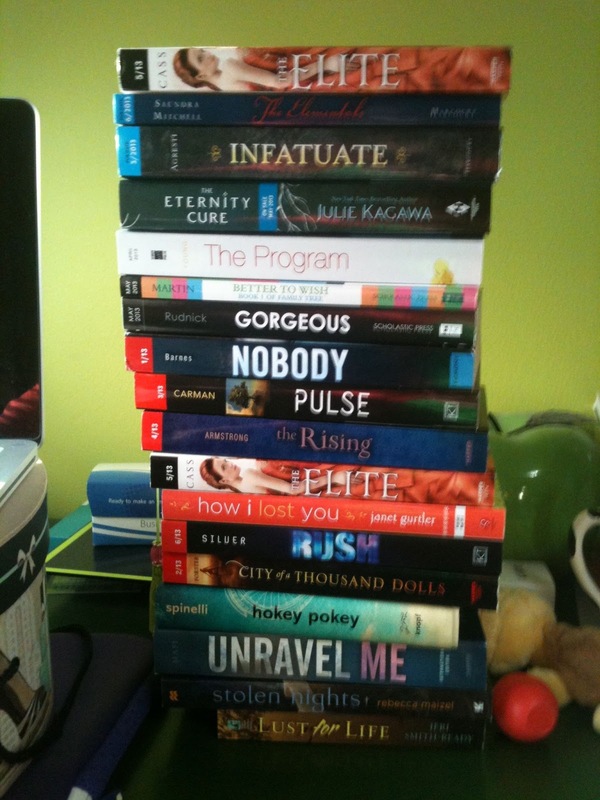 Books make me happy. 8) How far do you plan to take this Pivot Point series? As of now it is just Pivot Point and its sequel. I'm batting around some other ideas in the Pivot Point world involving some side characters (perhaps maybe even including the boy who doesn't get chosen....maybe). 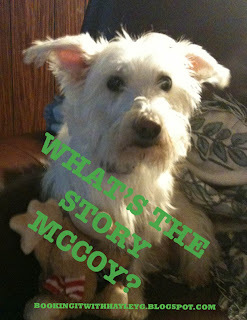 But as far as Addie goes, her story will be over at the end of book 2. 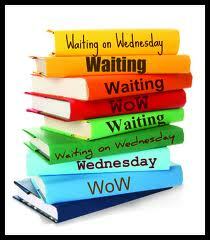 9) What can we expect from Book #2? 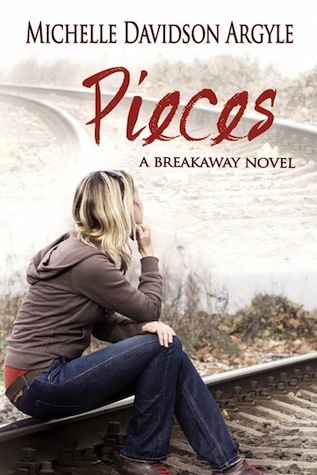 While Pivot Point was all about Addie's ability, Book 2, even though told from her perspective, focuses on some other abilities in the Compound. Like the ability to be hot and the ability to kiss. Just kidding. Real abilities. But there will be hot boys and kissing. 10) What advice would you give to aspiring writers? Don't give up. If writing and being published is your dream, I truly believe that persistence is the key. Keep writing. Keep trying. Pivot Point is the sixth book I wrote. (I needed a lot of practice) I feel like with each try I got better and learned more. I'm so glad I didn't give up even though there were plenty of days that I wanted to. Thanks for taking the time to stop by and answer some questions, Kasie! Thanks for having me Hayley. Those were really fun questions!